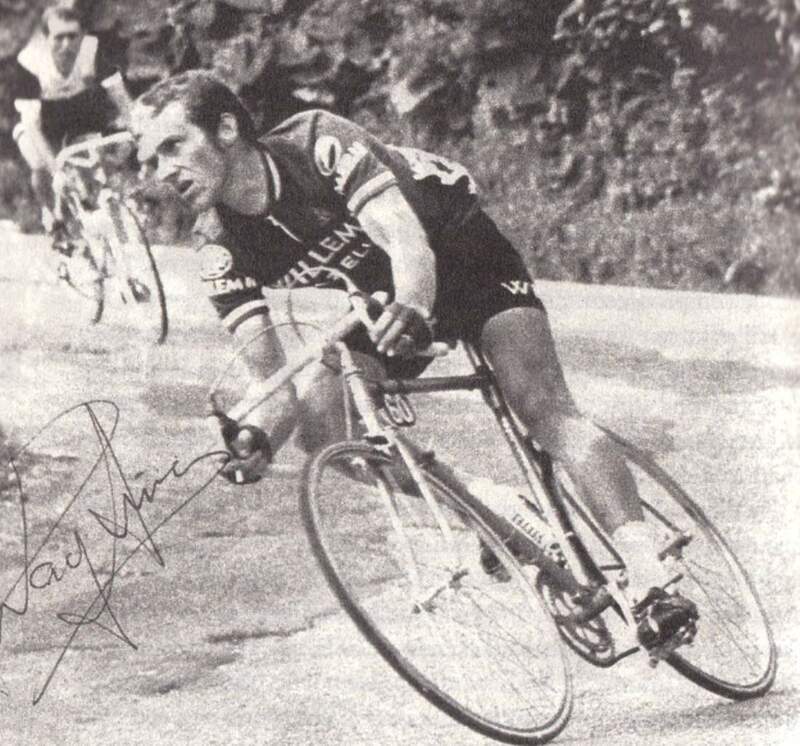 Marinus (“Rini”) Wagtmans (born December 26, 1946 in Sint Willebrord) is a former Dutch professional road bicycle racer. He was the nephew of Wout Wagtmans, a former professional who had won the Tour de Romandie stage race in 1952. His father was a masseur while Tour de France stage winner Wim van Est was his neighbour. In 1968 Rini turned professional. The following year he finished third overall in the 1969 Vuelta a España. He rode four editions of the Tour de France and won three stages, one in 1970, one in 1971 and one in 1972. In the 1970 Tour de France he finished fifth overall. In 1971 Tour de France while riding for Molteni, he wore the maillot jaune for one day but teammate and team leader Eddy Merckx took the jersey the following day. He also won two stages in the 1970 Vuelta a España. Wagtmans was known as one of the best descenders in the peloton and earned him the nickname “witte bles” which is translated as “white blaze”. Wagtmans ended his career early due to heart problems. Afterwards he was a cycling coach, a member for the Royal Dutch Cycling Union, and then a successful businessman. In 2005, Wagtmans became a ridder or Dutch knight in the Order of Orange-Nassau. In 2006, Wagtmans’ biography was published.